In this riveting sequel to the national bestseller The Queen of the Tearling, the evil kingdom of Mortmesne invades the Tearling, with dire consequences for Kelsea and her realm. With each passing day, Kelsea Glynn is growing into her new responsibilities as Queen of the Tearling. By stopping the shipments of slaves to the neighboring kingdom of Mortmesne, she crossed the Red Queen, a brutal ruler whose power derives from dark magic, who is sending her fearsome army into the Tearling to take what is hers. And nothing can stop the invasion. But as the Mort army draws ever closer, Kelsea develops a mysterious connection to a time before the Crossing, and she finds herself relying on a strange and possibly dangerous ally: a woman named Lily, fighting for her life in a world where being female can feel like a crime. The fate of the Tearling -- and that of Kelsea's own soul -- may rest with Lily and her story, but Kelsea may not have enough time to find out. 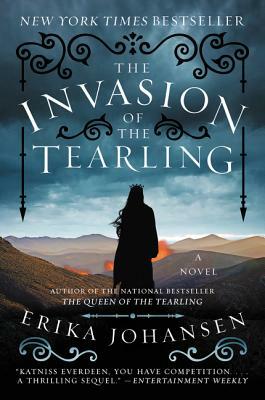 In this dazzling sequel, Erika Johansen brings back favorite characters, including the Mace and the Red Queen, and introduces unforgettable new players, adding exciting layers to her multidimensional tale of magic, mystery, and a fierce young heroine.